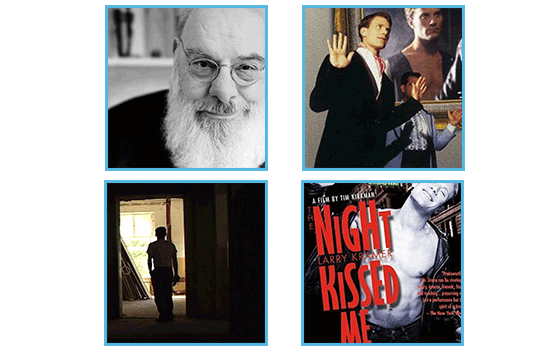 This digital box set of Montrose Pictures films includes A Magical Vision, Stones From The Soil, Peoria Babylon, and The Night Larry Kramer Kissed Me. A Magical Vision spotlights Eugene Burger, a far-sighted philosopher and magician who is considered one of the great teachers of the magical arts. Eugene has spent twenty-five years speaking to magicians, academics, and the general public about the experience of magic. Advocating a return to magic’s shamanistic, healing traditions, Eugene’s illusions seek to evoke awe and transcendence, and surpass the Las Vegas-style entertainment many of us visualize when we think of magicians. Stones from the Soil tells the story of a unique school in 1930s Germany where a small group of Jewish teenagers was trained to become the vanguard of a new society. One of those teenagers was the filmmaker’s father, Rudolph Caplan. The school, situated on a farm, was called Gross Breesen (pronounced bray’ sen), and it would eventually save the lives of Rudi and 150 other students. Stones from the Soil begins sixty-six years later, when Rudi’s son returned to find the farm. With this astonishing concert film, audiences who missed the off-Broadway smash can see David Drake in his captivating one-man show. This semi-autobiographical performance piece contains several poignant stories about growing up gay in the ‘90s. From his brilliant opening monologue describing the impact playwright Larry Kramer’s The Normal Heart had on him, to his amusing riff on “Why I Go to the Gym”, Drake delivers a fierce, full-bodied, multi-character performance. Jon Ashe (David Drake, Philadelphia) needs more from life in Peoria— the 20 gay men in town are tacky and boring. Candy Dineen (Ann Cusack, A League of Their Own) is well-bred, blonde, and broke. Together they own two halves of a failing gallery. But their luck changes when a hunky art stud reveals his talent for art forgery and publicity stunts. As the three conspire, they imagine a most successful venture: an Art Massacre that brings them fame, wealth, success… and all the problems that follow.